My mom is where I get my work ethic from. Now that I've answered the question, I could end the blog here, right? Well, not necessarily, this is just the beginning of it. My mother always told me that whatever I put energy into, to give 100%. It's all or nothing at all, nothing in between. If it's in between, then you're basically half-assing it and it's pointless to do that. So whether it was the workplace, friendships or relationships, I was always told to give 100% into it and when I hit a point of where I gave it my all, it was time to move on. 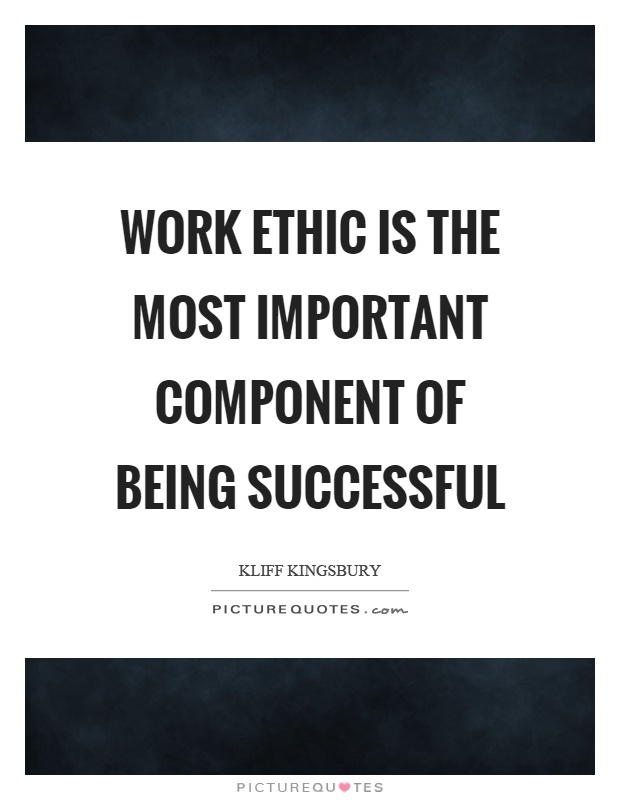 In this blog, I'll go into my work ethic from a writing standpoint. The friendships and relationships part I'm quite sure you don't really care about and I get that. As you all know, I had no idea I would even write one book, let alone six up to this point with many more to go (scary to think about right?). 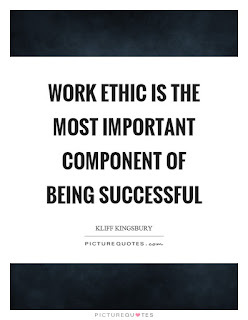 Since I've figured out my purpose in life, which is to write, motivate and inspire others I know that my work ethic is going to get me to where I want to be in life. My biggest goal is to have millions of people reading my books, being impacted by my stories and working to change the world we live in. My mother is the epitome of my work ethic because she's been with one company for 28 years. I'm quite sure she never thought she would be with a company that long but she knows that it was well worth the journey. My goal is to have her retired before she turns 60 years old, which only makes me work harder all of the time. My first book was published in February of 2016, by the end of this year, I will be 7 books into my journey. GOD forbid I died tomorrow, there would be 3 books that you would never read. Yes, you heard that correctly, 3 books, that are already written, edited, proofread and ready to go. So just imagine how much time I spend writing daily along with marketing, recording YouTube videos, social media engagement, planning out big projects and also planning to record my own audiobooks. I work hard at this because it's my passion, I love it. The days where I don't wanna do a damn thing, to the days I wake up and know that it's going to be a real productive day. GOD sees my grind and it's hard and I just want to reap the rewards of my hard work. I invest a lot into myself because I believe in myself and the writing that I do. So when you ask where I get my work ethic from, it's definitely from my mother. There's the challenge of wanting to get better at my craft every single day. I have my favorite books and poems that I've written but as I continue to write more, I will change my favorites poems for sure. When you have determination to succeed, that's what keeps me going (and a lot more other things). Never forget where you come from and your life journey, it helps you appreciate things when you get to the mountaintop. Please subscribe to my blog and you'll get an e-mail weekly when I post a new blog. Also, you can follow me on my social media websites and get excerpts from my books. Congrats on your first audiobook!! Thanks a lot, I appreciate it greatly!